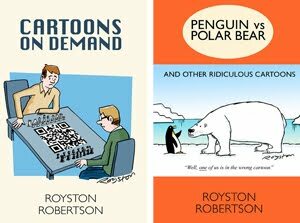 "am looking for a catoonist for my book. think we can find out if you fit? Regards …"
"Hello, Could you please contact me regarding our need for an illustration/cartoon characters. Thank you …"
"i found your name looking for an illustrator for a childrens book I have written can you tell me what sort of costings it would be for around 10 picturesor how you work out you costings. thanks looking forward to hearing from you"
ha! 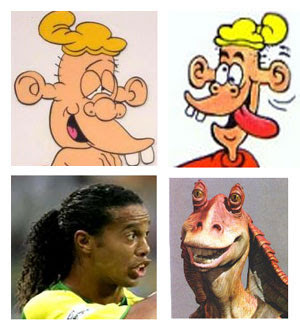 plug and ronaldinho -- dead ringers! -- have you tried that one with the eye for their lookalikes section? I can't claim credit for that lookalike because it genuinely did turn up in a Google image search for "Plug" and "Beano" !